Free Home Listing for Veterans! 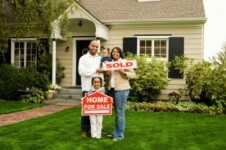 What Do We Mean by FREE Home Listing? What we mean by “Free Home Listing” is the listing firm is not charging to list your home – normally, when you are listing your home to sell, the listing fee is around 5.0 to 6.0% of the sales price, with the amount split between the listing firm and firm of the buyer’s agent. If the listing firm is charging a 6% listing fee and it is split evenly, then 3% goes to both firms. With the BecauseYouServed Program, you can save on the listing side of the fee since no listing fee will be charged by Home Search Real Estate. Plus, there’s also no fee paid upfront that most “For Sale By Owner” sites charge. (Remember, the home is listed FREE by the listing firm, but there is still a fee paid out to the firm of the Buyer’s Agent at closing). If you have not served in the military, we also offer a Reduced Listing Fee for civilians of 3.9% that includes both sides of transaction. Home Search Real Estate is a proud sponsor of the Because You Served Program that helps veterans and their families save thousands when selling their home. Give us a call if you have questions (910) 340-5524 – We will be glad to explain the program. Why Do We Sponsor Because You Served & FREE Home Listing? We believe in helping our military families so they can save thousands of dollars at a time when there are many extra expenses. We believe that by helping our military families save money now, we will in return receive listing and buyer referrals from the families we help. What services are provided with our BecauseYouServed program? Dedicated Property Website with a minimum of 30 professional photos—NO cell phone photos! Listing uploaded on NC Regional MLS and syndicated out to over 85+ real estate websites including Zillow, Trulia, Realtor.com, and many others at NO EXTRA CHARGE! A Virtual Tour built to engage buyers. A YouTube Video designed to rank high in searches for your home. YouTube is the second most searched website. Social media tools for family and friends to share your property listing. Automated social media sharing of your listing on Facebook, Linkedin, Twitter, Instagram, and YouTube. Free Updates on Showings scheduled and feedback from buyers. Printable Flyers and Brochures (PDF available). Closing Co-ordination Services by Home Search Real Estate and 3D Matterport tours are available for an extra charge. If you are interested in saving thousands of dollars when selling your home and still receive great marketing of your home, give us a call (910) 939-4369 or visit our website for more information.